There are plenty of reasons people request an Uber to only go a few blocks away -- rain, a heat wave, or a particularly painful pair of shoes are all fairly legit causes. The rideshare giant is taking a step away from those short-trip needs, however. Uber CEO Dara Khosrowshahi said in an interview to the Financial Times that Uber will now focus on electronic bikes and scooters more than cars when it comes to inter-city trips that are only a few blocks. RELATED: Are 'dockless' bicycles a fit for Philly? “During rush hour, it is very inefficient for a one-ton hulk of metal to take one person 10 blocks,” Khosrowshahi said to Financial Times. “We’re able to shape behavior in a way that’s a win for the user. It's a win for the city." Uber acquired Jump, one of a growing number of startups focused on ebikes and scooters, earlier this year. A few months later, Uber also announced a partnership with Lime, a dock-free scooter firm. As a few cities in the U.S. have been offered the car alternative over the past few months, but the company's renewed focus poises it to offer the ebikes and scooters through the app globally. Khosrowshahi said the push will affect Uber's short-term profitability, as the company earns less per mile with scooters and bikes than with cars. Uber is expected to go public in 2019. Lyft is also making moves to offer similar, two-wheel ride alternatives to more customers. Earlier this summer, Lyft purchased the firm behind New York City's Citi Bikes and San Francisco's GoBikes. 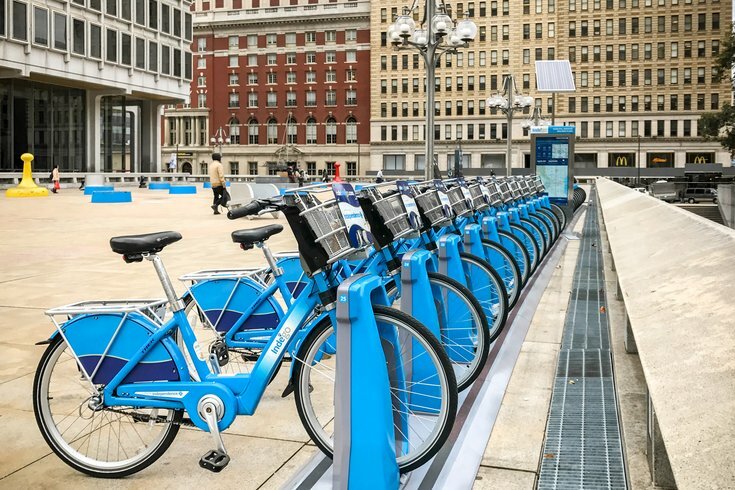 Though dockless bikes haven't made their way to Philly yet, Camden's pilot program of such a system was cut short when Ofo, a Chinese dockless bike company, pulled out of its agreement with Cooper's Ferry Partnership and the Rutgers Voorhees Transportation Center. A push for bikes and scooters by Uber seems like it would rival demand for Uber cars and cut into possible profits for drivers. Despite this, Khosrowshahi insists that driver partners are on board with it, as it could mean requests for longer rides that would take in more money.